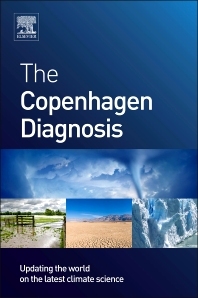 The Copenhagen Diagnosis is a summary of the global warming peer reviewed science since 2007. Produced by a team of 26 scientists led by the University of New South Wales Climate Research Centre, the Diagnosis convincingly proves that the effects of global warming have gotten worse in the last three years. It is a timely update to the UN’s Intercontinental Panel on Climate Change 2007 Fourth Assessment document (IPCC AR4). The report places the blame for the century long temperature increase on human factors and says the turning point "must come soon". If we are to limit warming to 2 degrees above pre-industrial values, global emissions must peak by 2020 at the latest and then decline rapidly. The scientists warned that waiting for higher levels of scientific certainty could mean that some tipping points will be crossed before they are recognized. By 2050 we will effectively need to be in a post-carbon economy if we are to avoid unlivable temperatures. Authored by 26 of the world's leading climate scientists, most of whom are also contributing authors to the IPCC Assessment Reports. Covers a broad range of topics evaluated by the IPCC, including greenhouse gas emissions, the global carbon cycle, sea level rise, and future climate projections. Topical boxes summarize each chapter and address commonly held misconceptions surrounding the science of climate change.